Meredith Kessler is one of the most prolific Ironman racers. She raced a ton of IMs as an age-grouper, since turning Pro in 2009 she has 27 finishes! (In the Texas field, the only woman with more Pro finishes is 47-year-old Dede Griesbauer with 28 finishes.) 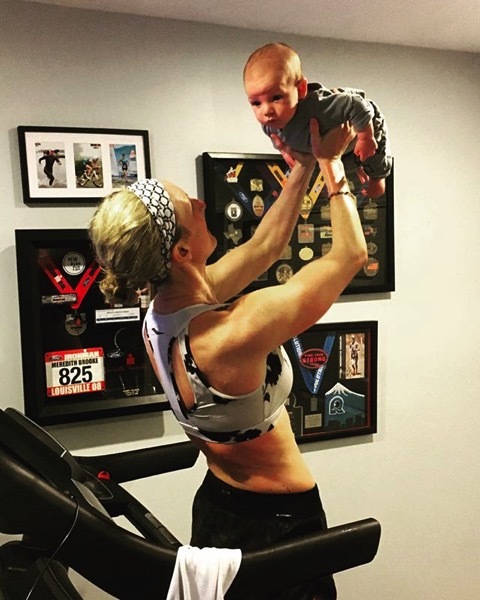 After finishing third in Ironman New Zealand 2017 (full results here), she announced that she was pregnant and took a break from professional racing. Son Mak Ace Kessler (spelled either Mak or MAK, his initials and also short form for his parents’ names Meredith and Aaron Kessler) was born in November, too close to reclaim her New Zealand title in March 2018. I’ve had a chance to chat with Meredith before her comeback race at IM Texas at the end of April. 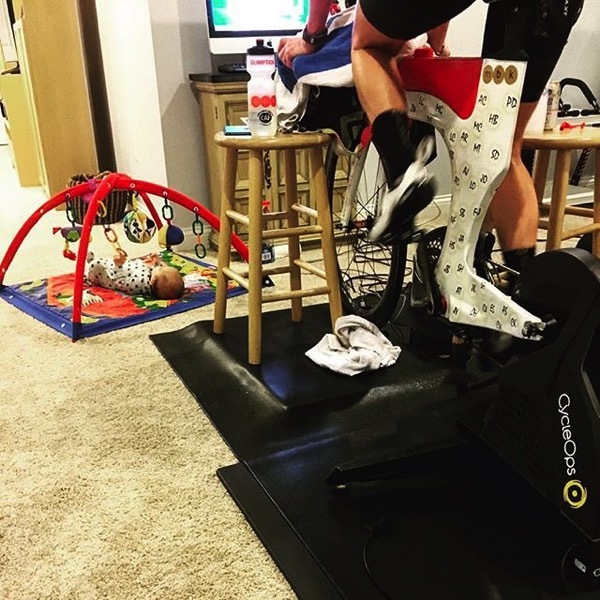 Thorsten: You’ve raced IM New Zealand in 2017 without knowing you were pregnant, how active have you been able to stay during the rest of the pregnancy? Meredith: Exercising and training have always been a way of life, and this didn’t change when internally growing a human! I am a big believer in maintaining your lifestyle during pregnancy. After all, we are pregnant, not powerless! The intensity was not the same, and there were no 5-hour rides outdoors, yet it was relaxing to me to keep up on exercising two to four hours every day while pregnant up until giving birth. Running on the treadmill, swimming (the most! ), strength training, and indoor bike trainer workouts were all part of the routine. This gradually became walking on the treadmill, using my buoy a bunch in the pool, and slower indoor bike rides. Healthy mom and healthy baby! T: After giving birth to MAK, how was your return to training? Giving birth is traumatic on the body; there are no ifs, ands or buts about it! From the havoc it inflicts on the body, to the emotions, and lack of sleep, you end up just running on adrenaline. Knowing this going in, I tried to get copious amounts of sleep in the months leading up to the birth, though you are never prepared for the actual thing. In addition, my personal labor was a little hectic in that I ended up needing an emergency c-section after 20 hours of labor. My birth plan was simple: To have a HEALTHY baby and that was what needed to happen in order to do that. Sure, recovery from that was a bit more invasive than I had imagined; yet, just like in sport with injuries, it was key to let the body guide the way. Swimming came first, about two weeks post MAK (no flip turns for a bit!) and biking at about four weeks. Running was much more of a labored process. After studying and chatting with many athletes who gave birth, the main thing, again, was to just listen to the body and not go out too hard because overcompensating hurt areas can lead to damage elsewhere. I tried running very slowly (we’re talking 12 minutes per mile) eight weeks post MAK and just widdled away at that day by day. There were tolerable days and there were days where the body said NO to that. I would say for the swim/bike, it was about 12-14 weeks that I was gradually back to harder interval sessions and for the run it was a few more weeks after that as I needed to spend time building the base. MAK will have just turned 5 months come IRONMAN Texas and it is amazing how resilient the body can be if we just allow it to do its thing! Could I have used a few more weeks? Absolutely. I’m sure many others could have as well yet I look forward to going out there and doing the best that I can muster – and seeing MAK and my husband at the finish will be so rewarding and appreciated! T: How did your “daily routine” change with MAK in the picture? With a new boy in the mix, we have adjusted our routine accordingly. We are on his schedule – he is the boss, ha! Once we get a schedule down, we have to be adaptable because it can change in a heartbeat. The most significant difference is the timing of my workouts. With my training partners in California, we were starting at 5:30 am and everything would be done before noon depending on the day. Now, my workouts may begin at 9 am. There could be a swim with high schoolers which starts at 4 pm and so forth so the day is much more spread out. Some of my best sleep comes between 4 and 7 am so these hours are crucial for my well being as the adaptation between fueling MAK up and resting takes place. It also is advantageous that my husband works from home, so he plans his schedule around my training and helping with taking care of Mak. If we did not have this luxury, we would absolutely need to hire a nanny to do our jobs yet we had been hopeful for this for a long time and planned accordingly. It is indeed a team effort and of course there are times when Mak needs his mommy so it is demanding, awesome, challenging, and rewarding all wrapped into one and I am stilling pinching myself that he is real! T: When we chatted in the fall last year, you mentioned that you’d love to do IM New Zealand in March, but now IM Texas is your first race back. Taupo, New Zealand is a second home for us; we love it there, so of course it was hard to miss the iconic Ironman New Zealand. We missed hanging with our friends, going to the beautiful Poronui fly fishing resort and enjoying good times and living the lush life New Zealand has to offer. However, it did not make sense for many reasons to go all the way there and not be able to give all that you could on race day; we just didn’t know how the body would react, so we decided Ironman Texas was the right call to give ample recovery time. I have been racing a long time, and I am counting on this knowledge and the body remembering (c’mon muscle memory!) what it takes to get to that finish line! There is no substitute for experience, and this breeds comfort. With that being said, there is always the fear of the unknown though what I have found is that the body can be resilient and you need to test it to see what it can do. As I mentioned, I equate this to an injury, which I have had my fair share, and trying to bounce back into race shape. Yes, there will be stumbling blocks, yet you don’t know where you are unless you go out there and do it – and TRY. T: Texas is a race that’s usually decided with a stellar marathon.Since the run is probably the hardest to come back from after giving birth, what are your expectations before Texas? There is the good kind of nervous and the bad kind. The right kind is knowing you have done the work and you are up for competition which is why you race. If you are human, you have this type of excitement or nervousness. The wrong kind is if you are unsure if you have done the work and you are questioning your fitness. There isn’t much scaring going on in triathlon; you either race to your potential or you don’t, and the chips fall where they may. I’m not sure how many competitors will be shaking in their boots about a 39-year-old who just gave birth and hasn’t raced in a year, so let’s go out there, give it some gumption and have fun in the process! The run, in any Ironman, is where all of your inconsistencies, deficiencies, and inadequacies come to light. You always go in with the mindset that you will complete a dominant run, but this is where that lack of hydration a month ago or lousy fueling day a couple of weeks back come to the forefront. All you can do is trust your process, do all the little things, and compete. It’s those little things that help to make the bigger things happen. It’s about showing up every day and doing what you can to become a better athlete and racer. I have really enjoyed trying to do these things – now with Mak leading the charge! T: What are your goals beyond Texas for this and the next seasons? The goal for 2018 is to show that being a mother, wife, sister, aunt, friend, triathlete, and living a balanced life can be done. 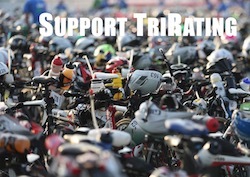 I was always so inspired by the age group triathletes that competed in triathlon with loving families in tow. Now, I am so thankful to be in their boat, and the journey will be rewarding and hopefully inspirational to others like they were for me! And heck yeah, these old legs still have many more years of competing with Kona being a puzzle (for me) to continue to try to solve! T: Thanks so much for the chat, Meredith, and all the best for race day! Based on the numbers (see my seedings for IM Texas), MBK is certainly one of the athletes in the mix for a win in Texas, but everyone (including Meredith!) will have to wait for race day to see how much of her potential she’s able to show just five months after giving birth. I hope that she can have an enjoyable race day (at least for most of the day) and a result that she can build on for the rest of the season.